NATURAL TRANQUILISER: St John’s wort is beneﬁcial during times of stress and for the relief of irritability. It is speciﬁcally combined with other herbs, vitamins and minerals known to be of assistance in times of stress, anxiety, nervous tension and mood changes. Siberian ginseng contains triterpenoid saponins and acts as a stimulating adaptogen. Kelp, a rich source of Iodine, is a gentle metabolic stimulant, nutritive and thyroid restorative. 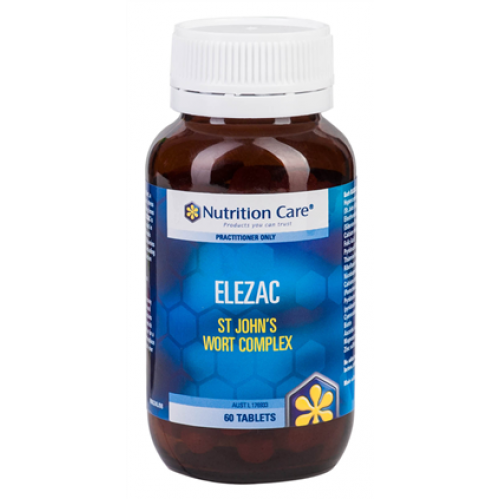 Elezac contains whole extract of St John’s wort standardised to hypericin. 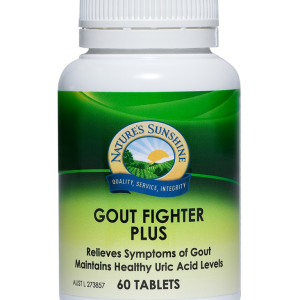 Two tablets daily provide the recommended therapeutic levels of hypericin and other required nutrients. Nutritive and supportive doses of siberian ginseng and kelp appropriate for long term use. Combination of herbs and nutrients important for the production of monoamine neurotransmitters St John’s wort is a potent anti-viral. Relieves nervous tension, stress and mild anxiety. May also assist to relieve the symptoms of cold sores. Subclinical hyperthyroidism, nervous tension, stress and mood instability that is common in menopausal women. Adults – Take one tablet morning and night or as directed by a qualified health care professional.Tablet may be halved or crushed for use in children 6-12 years of age. The best formula ever for my depression! I’ve been using this product for 5 years now and never looked back. Christine, the naturopath of the store had put me onto it. I used to take 3 day and now I’m taking only one a day.